Maruti is planning to replace the nation’s first and most successful compact SUV, the Gypsy. Two years ago reports suggested the launch of the Maruti Jimny. Is Maruti Suzuki ready to launch the most awaited off-roader in India? For the past 33 years, the Maruti Gypsey has been ruling the off-road enthusiast segment singlehandedly. Be it rally sport, super sprint, on road, off-road the Gypsey offered the most versatile package in a surprisingly pocket-friendly vehicle. The Gypsey remains the choice for the enthusiasts and offers high customisation options. Several racing participants swapped the 1.3-litre petrol unit for a more powerful Baleno sourced 1.6-litre unit. In other cases, suspension and four-wheel drive mods are added to make it race ready. The successor of the invincible Gypsey is the Maruti Jimny India has been awaiting sincerely to come ashore. Has Maruti finalised the launch plan? Will it be produced locally? Let’s find out. Also Read – Upcoming Cars In India 2018. While we await the Jimny, two great folks at Autocar UK actually took the existing model pitting it against the only off-road worthy luxury SUV in the world, the Range Rover. While the Range Rover rolled over obstacles, the Jimny was to simply follow it through the same obstacles. Towards the end of this exercise, the Range Rover failed to climb a steep and slippery climb the Jimny was otherwise able to climb with ease. The Maruti Jimny is definitely the most capable stock SUV on the planet right now. Suzuki is all set to reveal the all-new Jimny in the coming weeks! The global unveil should give us a clear idea when it will be launched in India. The upcoming Maruti Jimny is sold as a three-door version which doesn’t really work in India. Indian customers prefer a five-door setup but if launched as a lifestyle product, the three-door variant will rock as well. The mini-SUV from Suzuki will be offered at a starting price of INR 6.5 lakh. Since there is not soft-top version, only one variant might be launched here. Also Read – Swift Bookings Cross 75,000, To Get New 6-Speed Gearbox. In an interview with AutoX, Mr C. V. Raman, head of engineering at Maruti Suzuki, commented, ” The issue for us is that globally the Jimny is a three-door vehicle – something that doesn’t work in India. At the end of the day, the Indian customer wants a 5-door vehicle for practical reasons. We’ve not been able to arrive at a definite conclusion. The feedback from the market has not been positive. What people want is a 5-door vehicle, which we don’t have. Also, the Jimny is a narrow vehicle, so width is also an issue. The current Gypsey is a wide-track vehicle. But, I think, from a lifestyle perspective, there is some potential”. Lifestyle products like Mahindra Thar and Isuzu V-Cross do not collect major sales numbers but are very important for brand-building and offering off-beat products. Mr Raman hasn’t ruled out the launch plan of the Jimny and that alone gets us excited. India could become the manufacturing and export hub for a 5-door version of the Maruti Jimny. While the Maruti Jimny is expected to launch here, don’t expect it to arrive anytime soon. An extended version of the Jimny has been spotted testing around the globe. This version will offer 5-doors and even more spacious interiors. The bigger Jimny is expected to be unveiled in 2019 with sales in limited markets starting in 2020. Since the Bharat Stage – VI norms are to be introduced in 2020, an option of a diesel is highly unlikely. 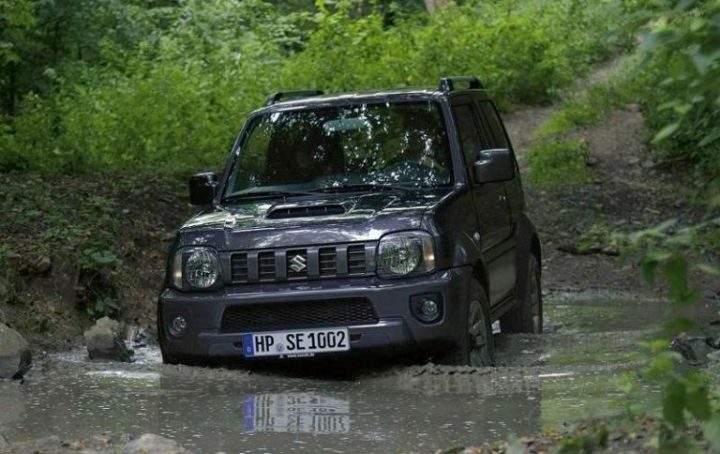 Stay tuned for more updates on upcoming Maruti Jimny.